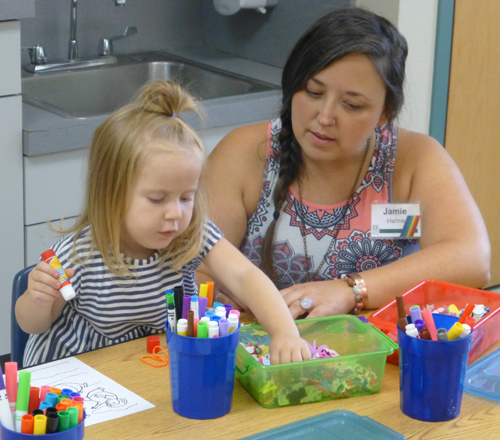 For the youngest members, loving nursery care is provided by nursery caregivers during all worship services. The nursery is full of books, puzzles, toys, and fun activities for babies and toddlers each Sunday. During summer worship services (May 27 - September 2, 2018), the nursery is open from 9:30 - 11:15 am for children ages 3 and younger. Beginning September 9, 2018, the nursery is open each Sunday from 9:00 am until 12:15 pm. During the 9:30 service, children who are 2 or younger on August 1, 2018 may participate in nursery activities. During the 11:00 service, children who are 3 and younger may participate in nursery activities. For more information about the nursery, please contact Christie Lee via email or at 314-821-0911, extension 205. 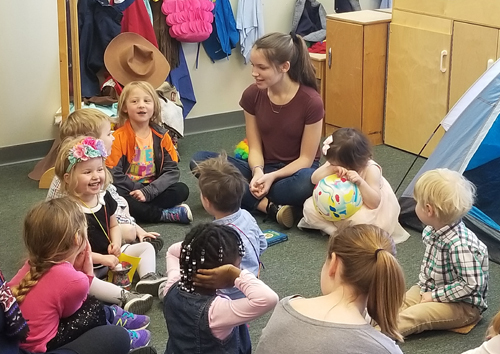 Young children are encouraged to get involved in opportunities each Sunday to begin discovering their self-identity, exploring their spirituality, and recognizing their connection with others and the wondrous world around them. 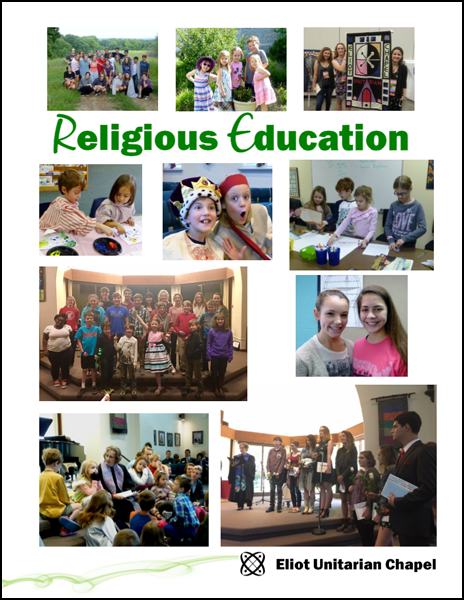 Classes provide young children with an introduction to their religious community, the Unitarian Universalist faith tradition, and include age-appropriate stories and activities. 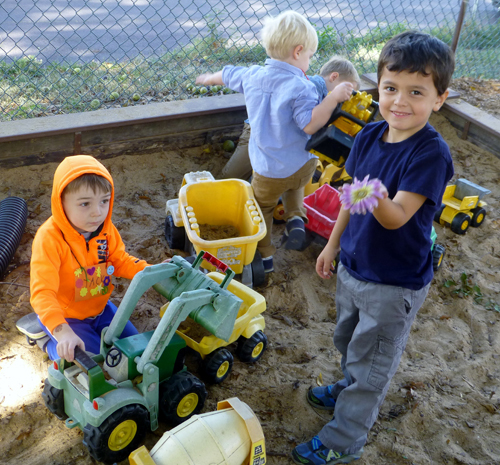 There is also time for free play and creating community with other UU children and adults. During the 9:30 service, preschool-age children who are 3 (by August 1, 2018) and older gather for stories and activities. The primary curricula for the fall & winter of 2018-19 is The Rainbow Connection. In addition, other Unitarian Universalist curricula, such as Chalice Children. and Celebrating Me & My World, are often used in our preschool classes. During the 11:00 service, children who are 4 (by August 1, 2018) and older gather with kindergarten and 1st grade children. Stories and activities from the UU curricula Wonderful Welcome and We Are Many, We Are One are often used with this class. Note that specific age-groupings and class offerings are subject to change. Families are invited to become involved in the program. For more information, or to register for classes, please contact Christie Lee via email or at 314-821-0911, extension 205.